Congratulations to our Year 14 pupils (pictured with Mr Skelton and Mrs Kelly, Head of Careers) who have been offered places at Oxford and Cambridge universities for next year. 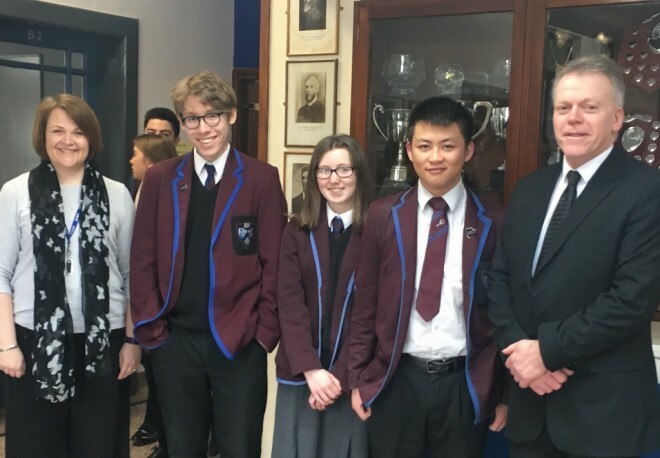 Ben Webb and Eason Chan have been offered places at the University of Cambridge to study Anglo-Saxon, Norse and Celtic Studies and Medicine respectively, and Emma Hasson has been offered a place at the University of Oxford to study Classics. Well done to all three, we are very proud of you and wish you luck with your future studies! 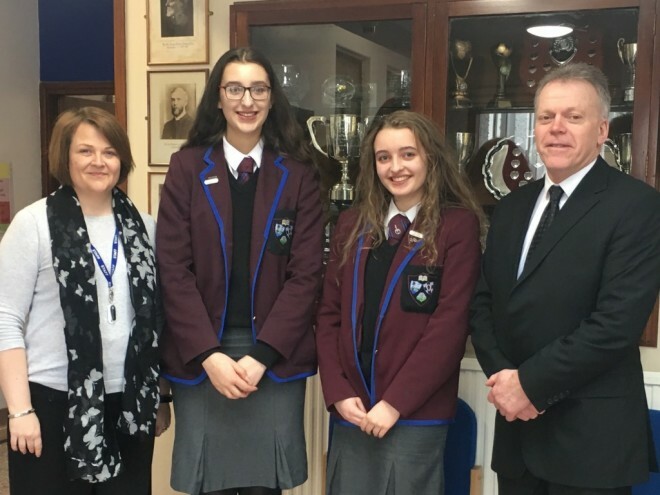 Also pictured with Mr Skelton and Mrs Kelly are Darcy Winchborne and Sarah Hadden, Year 13 pupils who recently attended the Oxford University Law Open Day.